Refuting Evolution went on to exceed our highest expectations, becoming possibly the most-read creation book ever (after the Bible!). Many thousands of people bought multiple copies to give to their relatives, friends, work colleagues, fellow students, schoolteachers and pastors. The author, Dr Jonathan Sarfati, is not only a brilliant scientist, but a master of concise, clear communication and logical thinking. He produced this succinct masterpiece in direct response to a book published by the prestigious US National Academy of Sciences—a book meant to teach biology teachers how to teach evolution so that their students would believe it. The NAS gave vast numbers of their book to public schools and other institutions—free of charge. Persuasively and professionally presented, the NAS clearly hoped that their publication would extinguish belief in biblical creation, giving public school teachers all the arguments they needed to counter the growing numbers of creation-believers in their classrooms. In an amazingly concise refutation of the NAS’s best arguments for evolution and long ages, Dr Sarfati’s incisive mind lays bare the shallowness of that apologetic for the prevailing culture-myth of our times—that everything made itself without a creator. Jonathan begins by showing that the issue is not really science versus religion, but the science of one religious view (atheism / materialism) versus the science of another religious view (biblical theism). Ultimately, one’s religious predisposition determines the approach to the evidence. The “facts” don’t speak for themselves when it comes to our origins. It is certainly important to understand this. No one who really wants to understand the times we live in can afford to ignore this landmark work. Our ideas about where we came from directly influence our views of what life is all about—the future of Christianity and civilization is at stake. This book could hardly be more important—or timely. Dr Don Batten, Ph.D. (plant physiology)—senior staff scientist and speaker, Creation Ministries International (Australia). Many students receive little or no exposure to the most important concept in modern biology, a concept essential to understanding key aspects of living things — biological evolution. However, it’s hard to believe that ‘many students receive little or no exposure’ to evolution. The whole secular education system in America (and most other countries around the world) is underpinned by evolution. After reviewing a number of biology textbooks in the secular school system, we find they are all blatantly pro-evolution. It’s also hard to believe that evolution is an ‘essential concept’ in biology, because most ‘key aspects of living things’ were discovered by creationists. For example, Louis Pasteur discovered that many diseases were caused by germs and showed that life comes only from life, Gregor Mendel discovered genetics, and Carolus Linnaeus developed the modern classification system, to name but a few creationist pioneers of modern biology [see The Creationist Basis for Modern Science]. Also, many highly qualified biological scientists of the present day do not accept evolution—their work is not affected in the slightest by whether or not fish really did turn into philosophers . 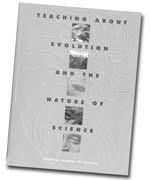 Refuting Evolution seeks to redress the lopsided pro-evolutionary way in which origins are taught. The NAS guidebook, which is compiled by many leading evolutionists, obviously contains the most up-to-date and major arguments for evolution. Thus, this critique of it addresses current evolutionary theory as taught in colleges, public schools, and as broadcast by the media. Refuting Evolution responds to many of the arguments in Teaching about Evolution and the Nature of Science so that a general critique of evolution can be made available to challenge educators, students, and parents. At the same time, Refuting Evolution gives as much positive information as space permits to defend the creationist position. Thus, it provides a good summary of the arguments against evolution and for creation. It should stimulate much discussion and help students and teachers to think more critically about origins.